Rangeley Lakes Trails Center is expected to be 100 percent open this season. 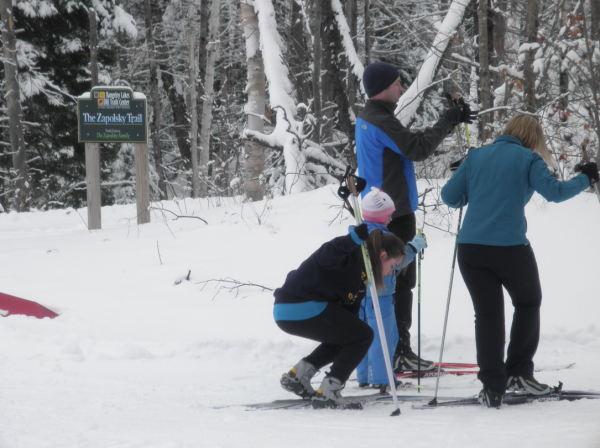 RAGNELEY - The best news in town about the winter recreation scene is that the Rangeley Lakes Trails Center (RLTC) will be 100 percent open this season, no matter what! Yes, they do rely on Mother Nature to provide snow, but that’s pretty much a given here in Rangeley. “All our trails should be open this year, with a new trail making its debut. This new trail, named Nat’s Alley, will start at the intersection of Larry Hall and Upper Pipeline and connect to Upper Pumphouse to make a few nice new long loops,” said Beth Flynn, president of the Rangeley Lakes XC Ski Club. And, she added, “the views are spectacular from this trail and encompass the eastern flank of Saddleback and beyond.” Great incentive to get out there and enjoy the spectacular trails at RLTC this winter. Volunteers have been working hard this summer and fall to make sure the yurt lodge and the trails are in tip-top shape. Marty Velishka has been busy sprucing up the yurt, and has organized a band of volunteers to sweep the snowshoe trails. Ron has been keeping the grounds mowed this summer. Wayward culverts have been fixed and the trails have been mowed in anticipation of early snow. Flynn is grateful for volunteer help. The 55 km, mapped trail system at RLTC offers trails for all levels of skill. Trails are groomed for skate and classic Nordic skiing. Also featured is dedicated single-track trails for the backwoods snowshoe experience. These double as mountain bike trails in the summer but are transformed in the winter with the quiet beauty of our legendary snow cover. There are a variety loops that offer you a choice of trek length, from a quick workout to a day-long outing with a picnic. The friendly staff at the yurt lodge can get you fitted out with cross-country ski or snowshoe equipment, and offer suggestions for routes to match your ability or available time. Upon your return, warm up with a variety of choices for soups, hot or cold beverages, and snacks of all kinds. A special 10 percent discount is being offered for any season passes purchased before Dec. 1. Act fast! Once the season is in full swing, enjoy some special discounted rates during mid-week. 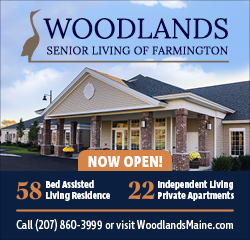 Check their website for when the trials will be open and all the details about Locals’ Appreciation Days, Maine Days, Ladies’ Day, and Men’s Day. The Rangeley Lakes Trails Center is open 9 a.m. to 4 p.m. every day. See you on the trails!